Ebola. War. Liberia has had much to overcome in recent years, and in many ways has made remarkable progress in the face of these challenges. Undernutrition, however, is a threat that stubbornly remained, with 35% Liberia’s of children under 5 stunted. Nutrition interventions that could help have been in short supply for those who need them most. Usually only treatment for severe acute malnutrition has been offered, and only if supplies are in stock. For poor mothers and children in rural areas, walking to health facilities can take days and end in disappointment if staff or supplies are gone. In response, since 2017 the Government of Liberia has been integrating nutrition and health services nationwide, with the support of a $9.2 million co-investment by The Power of Nutrition and UNICEF. The resulting programme, “Tackling Child Undernutrition in Post-Ebola Liberia”, is enabling the Government to update national nutrition policies and scale up high-impact nutrition interventions including treatment for severe acute malnutrition, the promotion of breastfeeding and complementary feeding and the distribution of micronutrients, including Vitamin A and Iron and Folic Acid. Progress is happening. I saw it for myself when I visited Liberia towards the end of last year with our director of investments, Mavis Owusu-Gyamfi, to examine the impact our investment is having in the country. With UNICEF, we drove hours outside of the capital, Monrovia, to a hospital and saw a nurse demonstrating to a young mother on how to breastfeed her new baby and ensure a healthy diet for herself. We spoke with happy mothers of bouncing babies who had clearly been well breastfed. 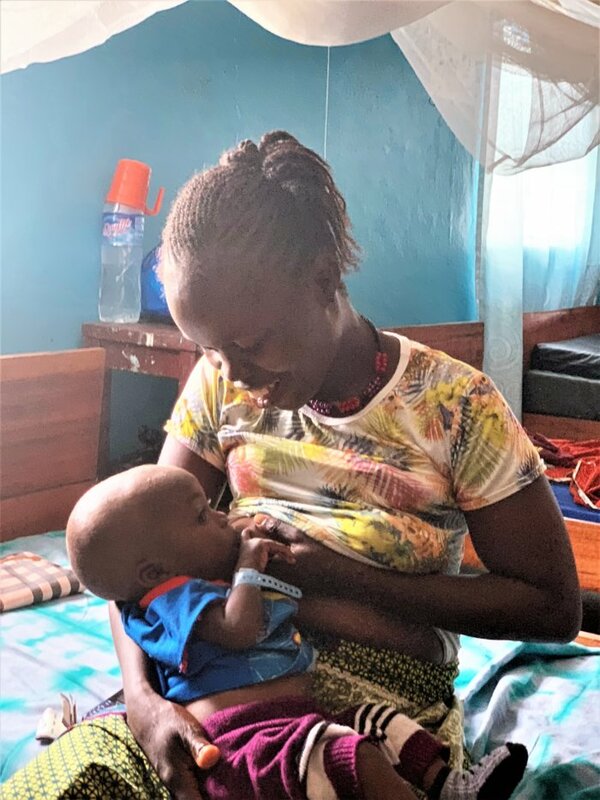 We also met with more anxious mothers sitting in pediatric wards with children who were recovering from acute malnutrition – care they might not have received without out investment. The improvements we saw were verified by the results of a coverage survey by Valid International that UNICEF contracted with our financial support. We found that the survey confirmed the Liberian Government’s reports of good coverage for IFA, IYCF and Vitamin A supplementation, yet highlighted the need to continue to reach out to communities and increase awareness of interventions newly introduced with our support, especially micronutrient distribution and Integrated Management of Acute Malnutrition (IMAM). 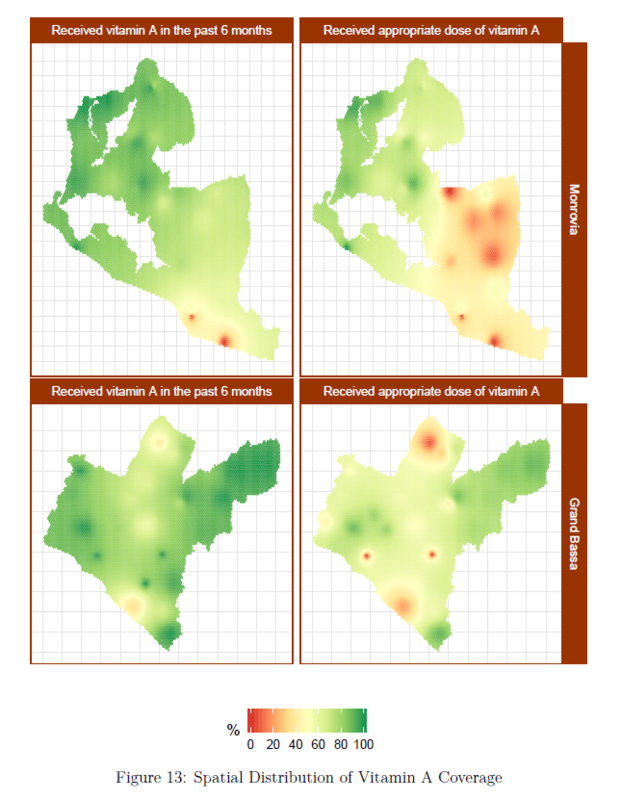 The survey also produced ‘heat maps’ of coverage so that Government managers could target underserved areas. 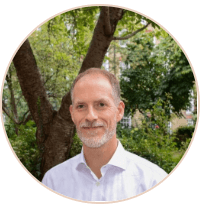 The coverage survey will be repeated in 2019 so we will be able to compare quantitative results and heat maps and evaluate the success of our support. During our visit, we also met with Government health managers to discuss how the programme had supported health systems strengthening. From the national to the country levels, we found the integration of nutrition in health services a priority. Even Liberia’s newly elected president, George Weah, has included nutrition in his Pro-Poor Agenda for Prosperity and Development (PAPD, 2018-2023). President Weah was a great football star and a UNICEF Goodwill Ambassador, so we have high hopes that he will become a leading star for nutrition, too. Pictures by Mavis Owusu-Gyamfi, Head, Director of Investments & David Eastman, Associate Director, Investments – Liberia 2018.